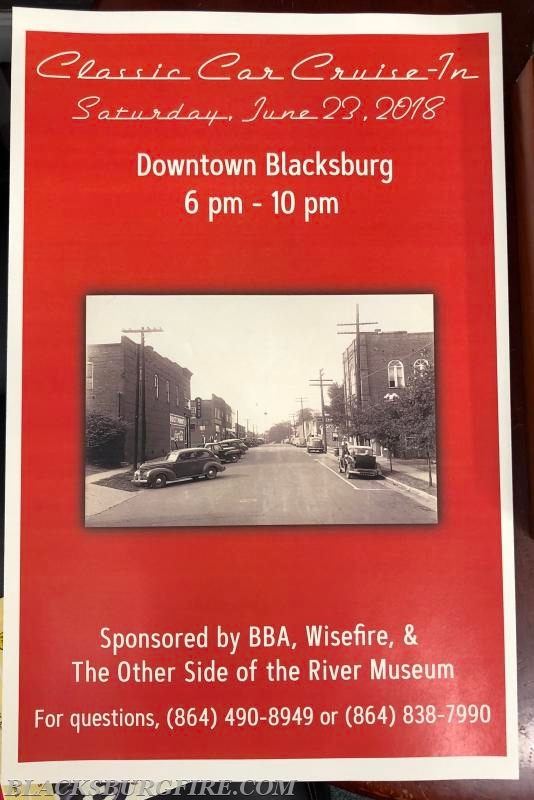 Come out and enjoy the Classic Car Show Sponsored by The Blacksburg Business Association, WiSe Fire Cafe, and The other side of the River Museum. This event will be held Saturday June 23rd from 6:00pm - 10:00pm. Also, The Blacksburg Fire Department will be selling HOTDOG and HAMBURGER plates on this evening as well as a fundraiser that will help the fire department. Come out and enjoy the event.